- New design of nature section. - Fix bug of Panda AR module. - Fix issue when sharing with Panda AR. 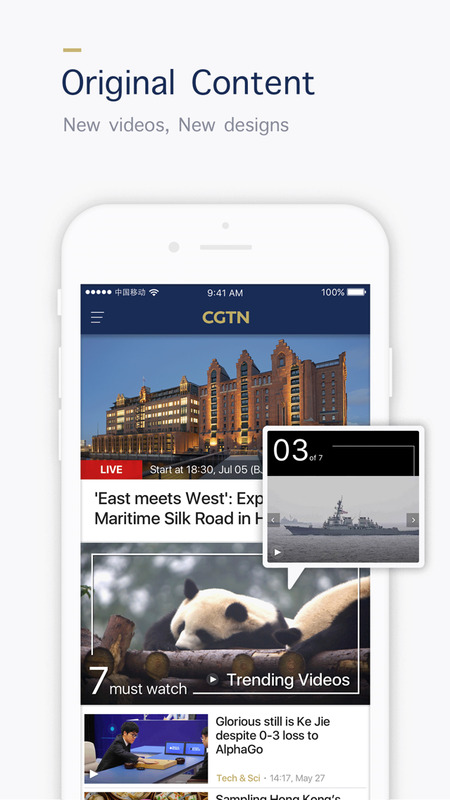 - Offer immersive experience of news storytelling with new AR feature.  - Optimize display of content. - Optimize experience of AR for iPhone X/XS. 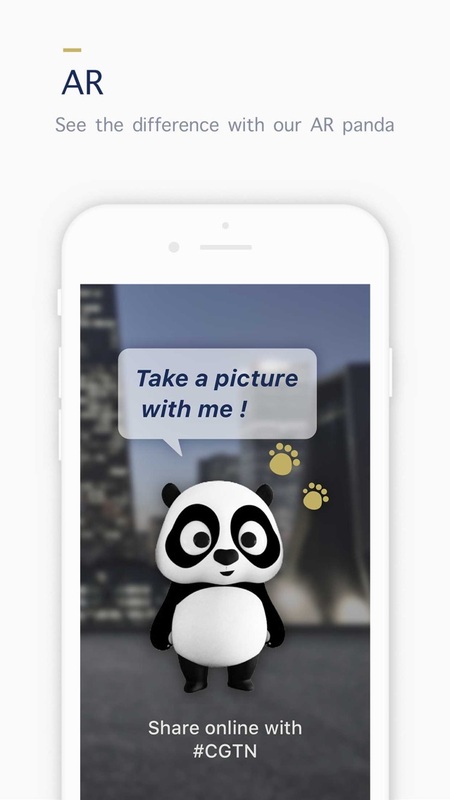 - New Feature: AR panda support. - Optimize display of pictures for Apple Watch Series 4. * Fix bugs in side menu. * Fix bugs of Trending Video. * Fix bugs of Translate. * Fix consistency between iPhone and Apple Watch. * Optimize news detail page. * Add force touch to refresh on Apple Watch. * Enable video auto playing under WiFi and cellular. * New design for trending videos and pictures. * New design of trending video. * Fix crashes caused by specific search and notification. 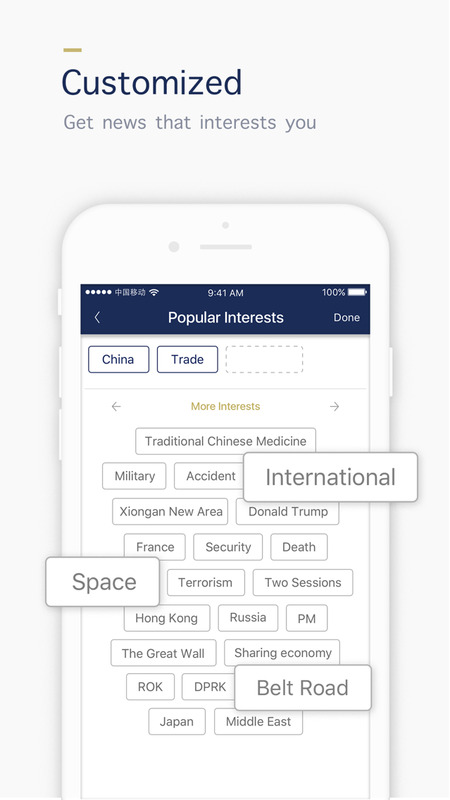 *ORIGINAL CONTENT: Our new app features extra sections, allowing easy navigation. *CUSTOMIZED NEWS: Focus on the stories you really want in the MY NEWS section. *GOING LIVE! Watch more live-stream content, and use “replay” if you miss an important event! *NEW DESIGN: The easy-to-navigate design makes browsing content simple. 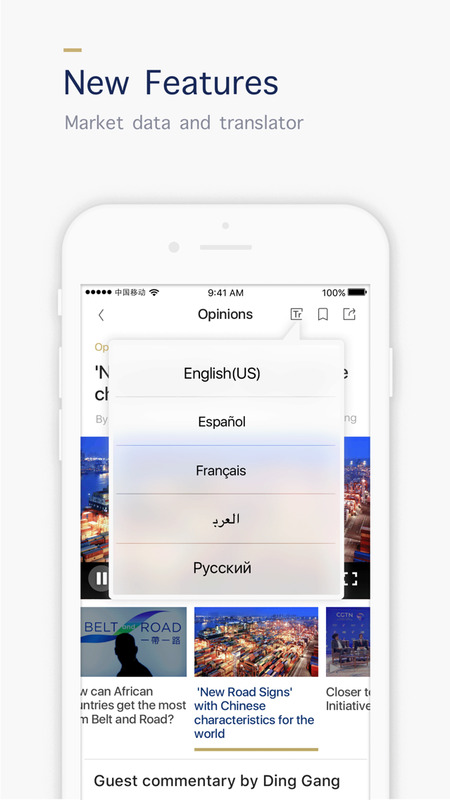 *MULTILINGUAL: Our news can be translated into French, Spanish, Arabic, and Russian. This update is compatible with iPhone X. 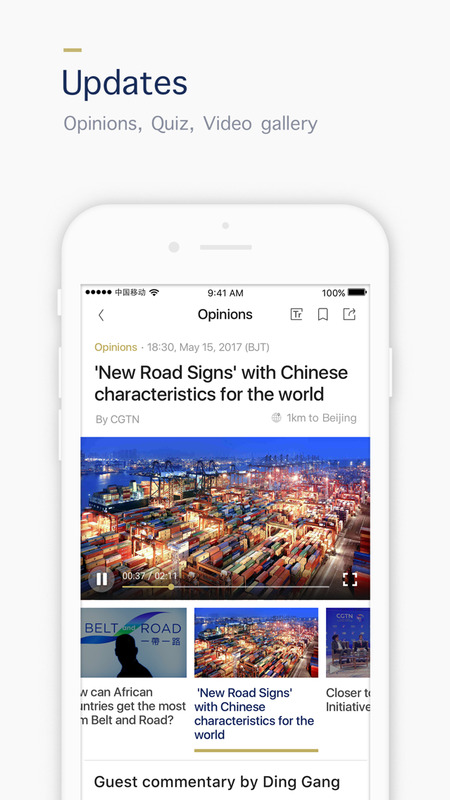 *ORIGINAL CONTENT: Our new app features even more sections, allowing you to easily navigate our content. *CUSTOMIZED NEWS: Focus on the stories you really want to read and filter out the ones you don't in the new MY NEWS section. *GOING LIVE! 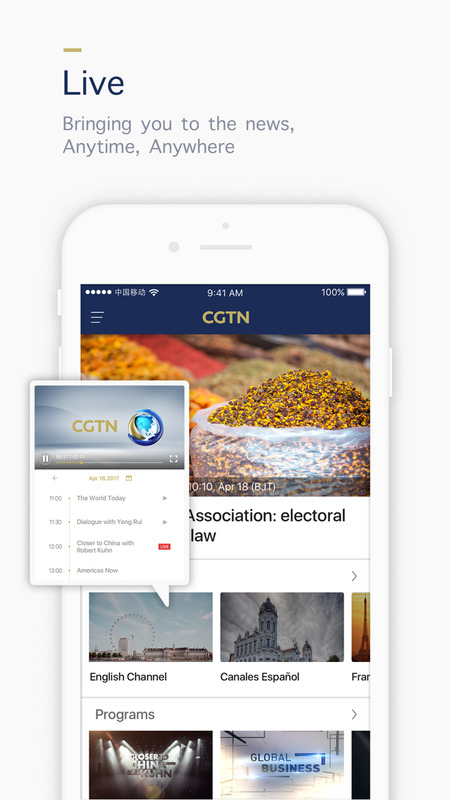 Our new app features even more content for you to watch live streams, from Chinese New Year festivities to China's latest space launch. We've also got a handy replay function if you missed an important event first time around! *NEW DESIGN: With an easy-to-navigate new design, it's now even easier for your to go straight to the content that interests you the most. *MULTILINGUAL: Using the latest in AI technology, our news can now be translated into 4 languages: French, Spanish, Arabic, Russian. * Add Live of events. * Add Live notification in home page. * Improve loading speed for news page. * Share with your favourite live channel. * New design for some features. * If no sound when playing video, please try to turn the mute button off. * Offers Apple Watch App. * Performance improvement in news detailed page. * Top bar added for 5 sections. * Recommended news added as "Read more"
* Launch 3D-Touch function for home page. * Shrink app package size. * Fix memory leak issues. * Fix the issue that news detail page is refreshed multiple times. * Fix app crash problem while touching the notification in some device. * Optimize live watching experience in fullscreen mode. * Optimize for iPhone plus experience.